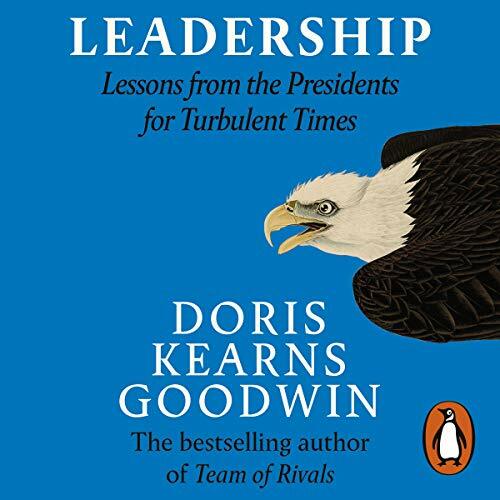 Penguin presents the audiobook edition of Leadership written and read by Doris Kearns Goodwin, with additional narration from Beau Bridges, David Morse, Jay O. Sanders and Richard Thomas. In Leadership, Goodwin draws upon four of the presidents she has studied - Abraham Lincoln, Theodore Roosevelt, Franklin D. Roosevelt and Lyndon B. Johnson - to show how they first recognised leadership qualities within themselves and were recognised as leaders by others. By looking back to their first entry into public life, when their paths were filled with confusion, hope and fear, we can share their struggles and follow their development into leaders. Leadership tells the story of how they all collided with dramatic reversals that disrupted their lives and threatened to forever shatter their ambitions. Nonetheless, they all emerged fitted to confront the contours and dilemmas of their times. No common pattern describes the trajectory of leadership. Although set apart in background, abilities and temperament, they shared a fierce ambition, a hunger to succeed beyond expectations. All four, at their best, were guided by a sense of moral purpose that led them at moments of great challenge to summon their talents to enlarge the opportunities and lives of others. This seminal work provides a road map for aspiring and established leaders. In today's polarised world, these stories of authentic leadership in times of fracture and fear take on a singular urgency.